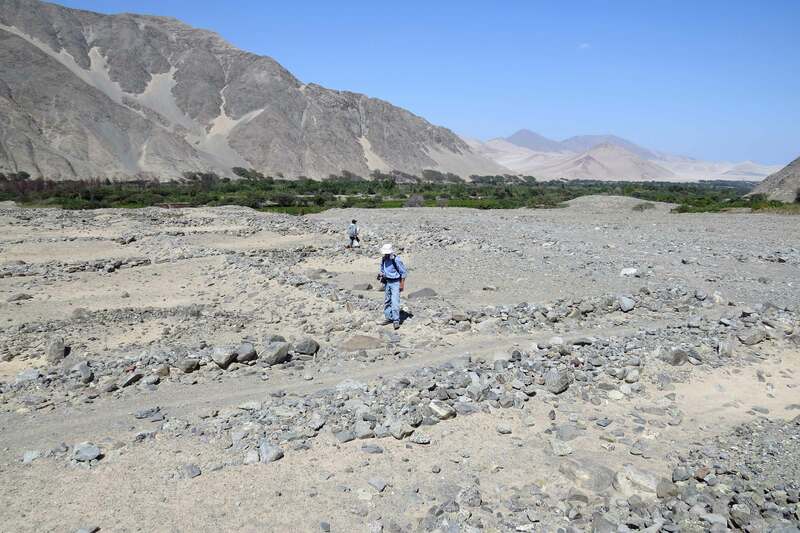 This past week, my colleague Elizabeth Cruzado Carranza and I visited Nivín Arqueologia about 25 km from Casma, on the north central coast of Peru. We were not really certain what to expect. 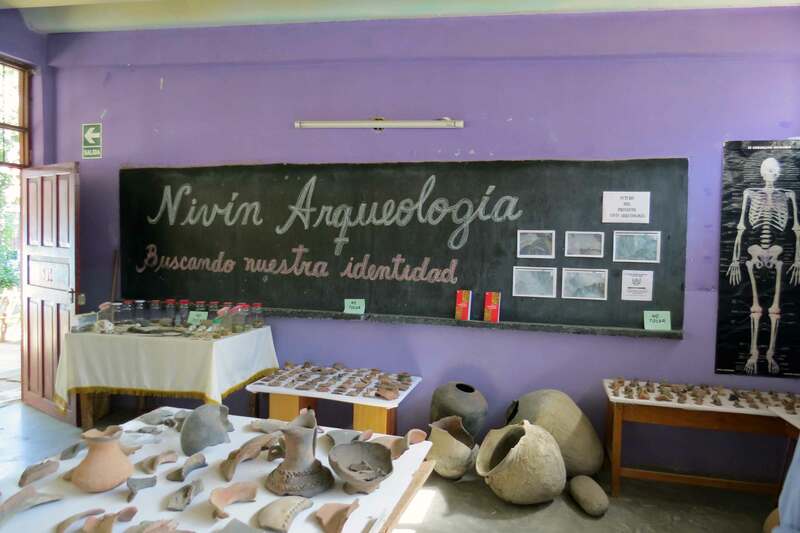 We had corresponded via the PIARA and Nivín Facebook pages with Gustavo Valencia Tello a professor in the Nivín k-12 school of 50 students. 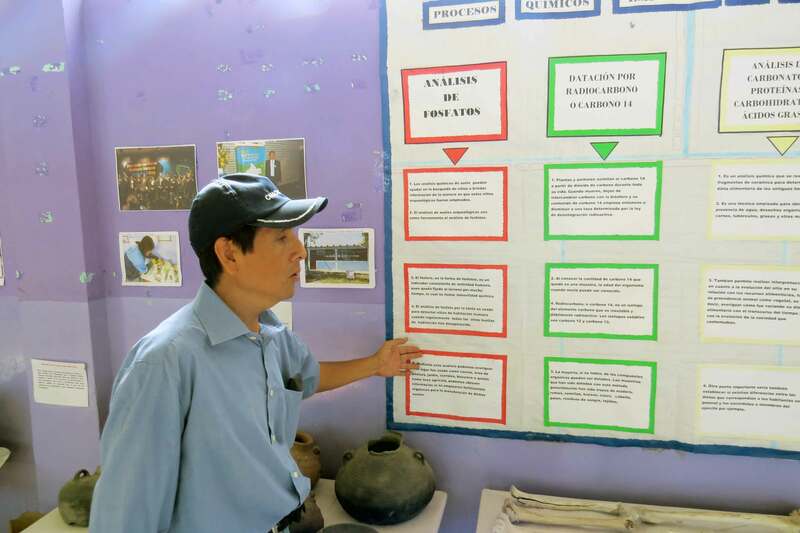 We knew that Professor Valencia established a museum connected to the school. 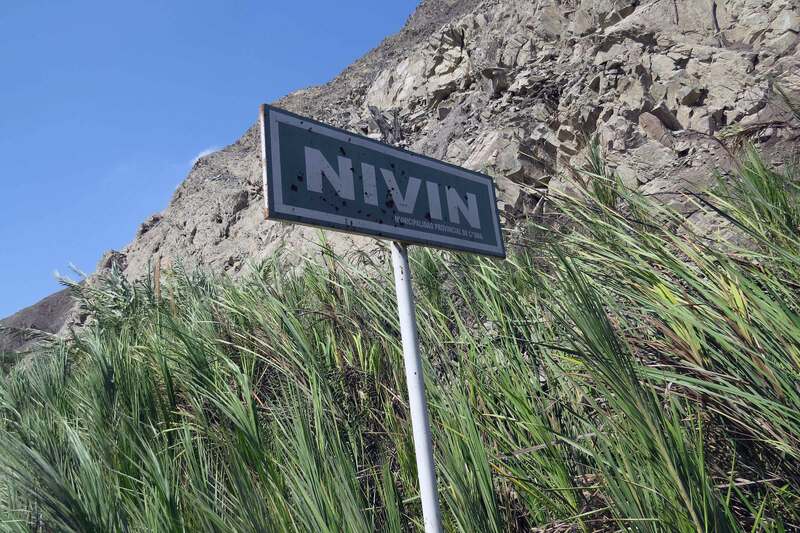 We also knew that Nivín is located in an archaeologically rich part of Peru’s north coast. 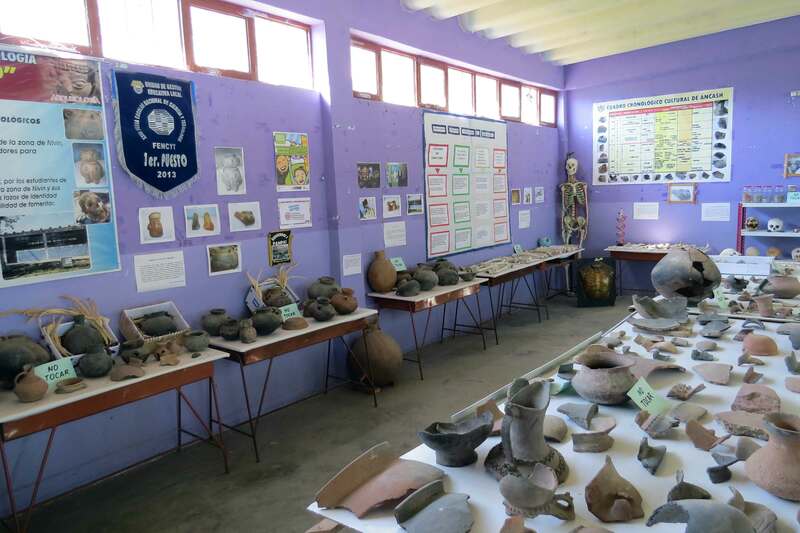 We knew that over the past five years Professor Valencia had convinced many area residents to donate their “looted” collections to the school’s museum. Finally, Professor Valencia had noted that there was little interest from the professional archaeological community in the sites at Nivín. That is pretty much what we knew about Nivín when we arrived in Casma this past Sunday. Young mango tree in the school garden. A small portion of the archaeological site at Nivín. 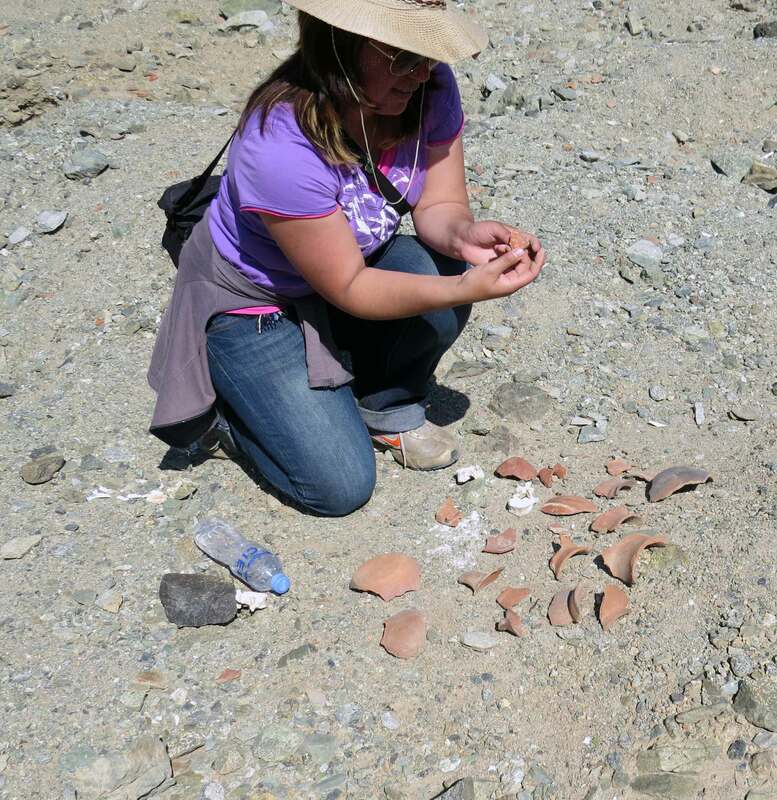 Elizabeth Cruzado Carranza examines broken ceramics and human bone from a looters pit. 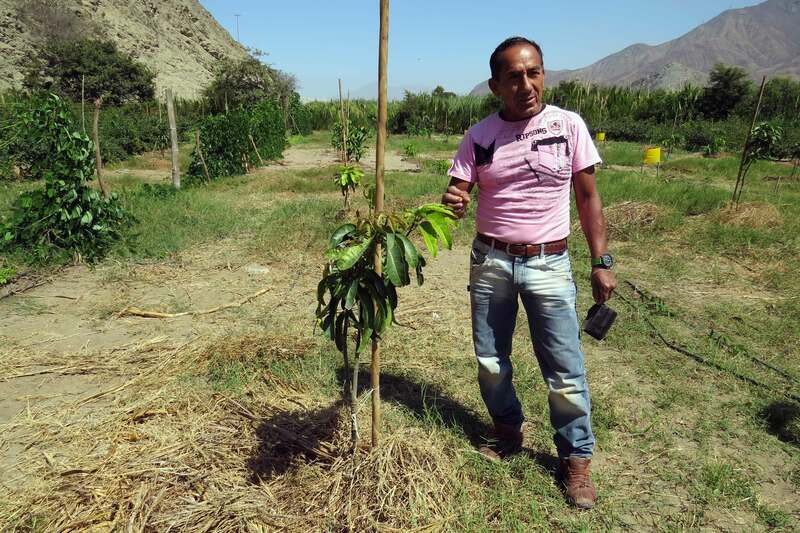 Professor Gustavo Valencia Tello with some of his teaching materials. We will discuss forming an expanded range for the type of collaborative projects now carried out by PIARA. This will ideally allow for greater collaboration among Ancash cultural heritage projects and expand access to resources.